In this article we are going to explain what legally binding earnest money deposits actually are, the different types of agreements currently valid under the Spanish legal system, and the true consequences they may have in the case of a breach of contract, depending on the clauses chosen. Much confusion regarding the meaning of earnest money deposits and their legal implications generally arises from the initial phase of property transactions. This is when we find ourselves faced with signing different binding documents, for example a reservation contract, a provisional purchase agreement, a promise to purchase (in this article we are going to summarise them as reservation contracts). 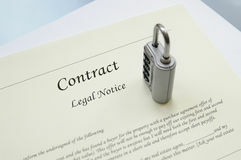 The misuse of the term stems from calling these type of documents down payment or deposit contracts, and given that deposit contracts do not exist as such neither are they recognised by Spanish law nor Spanish case law, earnest money deposits or ‘arras’ are simply possible agreements that can be included in a contract. More specifically, earnest money deposits are additional clauses to reservation contracts, where both parties agree to the use the down payment or deposit as proof of reservation. This is a guarantee of compliance with the obligations laid down in the reservation contract. The agreement is of a voluntary nature, this is to say that the law does NOT compel the inclusion of these kind of clauses in contracts. Consequently, they should only be included by the free will and mutual agreement of the parties involved, and additionally, we highly recommend, with the assistance of an independent legal professional. Among other reasons, this is in order to assess your particular requirements and to apply the class of down payment agreement that will protect your personal interests. FORFEIT DEPOSITS (ARRAS PENITENCIALES) These kind of deposits are the only ones expressly provided for under Spanish regulations, more concretely, under Article 1454 of the Civil Code. Ultimately, the use of this kind of deposit requires an ‘exit clause’, this is to say a lawful means for either party to unilaterally withdraw from the contract. The implementation of a forfeit deposit clause in a reservation contract (in the case of withdrawal or breach of contract) shall impede the party wishing to proceed with the purchase to be able to go to court to claim fulfilment of the contract. As explained above, this is due to the fact that forfeit deposits are unilateral exit clauses to reservation contracts. They are the most common clauses found in reservation contracts presented for signature by REAL ESTATE agencies for the majority of property sale transactions, and in many cases, in an incorrect manner. This is either because the clause is not correctly included in the contract, or because it is contradictory to other clauses in the contract. For this reason, it is absolutely necessary to seek the assistance of an independent legal professional expert in the field Property Law, whom in view of the particularities and requirements of all parties involved, and the purchase conditions in question, will make a correct assessment in order to include the appropriate and correct clause in the reservation contract in question. CONFIRMATORY DEPOSITS (ARRAS CONFIRMATORIAS) These kind of deposits are considered to be an amount of money given on account of the final price, termination or cancellation of the contract is not allowed. The distinctive feature of confirmatory deposits is that if no class of deposit is expressly specified in the reservation contract, this one will be applied by default. PENALTY OR ENFORCEABLE DEPOSITS (ARRAS PENALES) These are included in sale contracts to reinforce compliance. This is to say that if the party paying the deposit breaches the contract, they will lose the amount paid. Furthermore, he or she could be liable for contract enforcement and also face payment for losses and damages. This class of deposit should be mutually agreed and must expressly stipulated in the reservation contract. If the agreed class of earnest money deposit is not expressly stipulated, a confirmatory deposit will be enforceable. In the case that both parties intend to apply a forfeit deposit, a clause must be included in the reservation contract clearly stipulating that the intention of the parties is to apply “a forfeit deposit in accordance with the provisions of Art. 1454 of C. Ci.” and that “the amount payable shall be a down payment of the total sale price stipulated in the contract”. It is of vital importance to seek appropriate advice from a legal professional with expertise in the field of Property Law before signing any preliminary document to the sale completion (such as a reservation contract, a provisional purchase agreement, a promise to purchase…). This will assure that previous to signature the document is adapted to your actual requirements, and amended in such a manner to guarantee the protection of your interests. At MSG LEGAL, as lawyers with expertise in the field of Property Law and Conveyancing, we can provide you with our services from the outset of the real estate transaction. Whether you are the buying or the selling party, we will act in your defence, to protect your needs and find the best legal solution for you.